Volleyball rules for all that love the sport of volleyball. Whether you are a official, coach, player, or parent... it's important understand the rules of volleyball. The following are the key differences between the most common volleyball organizations. Above 15 feet, play as if part of the ceiling. If there is something below 15 feet, (for example, a basketball goal) then if the ball hits it, blow the whistle and make a judgement call. So, below 15 feet is discretionary, above 15 feet, play as if it was the ceiling. For the discretionary call, if the ball would have been playable if the ball didn't hit the object, then award a replay. If the ball wouldn't have been playable if the ball didn't make contact with the object, then call the ball "out of bounds". For the play off the ceiling... the ball must contact the ceiling where the ceiling is above the playable surface. If the ball hits the ceiling above a non-playable surface then rule the the ball "out of play". In NCAA, the teams don't turn in an official roster before the match. In USAV, rosters may be used, but aren't often used at tournaments except national qualifiers or national tournaments. In National Federation, rosters are submitting before a match. Adding additional players to a roster will cost a team a "loss of rally" and point to the opponent. In NCAA, any coach may instruct players or request game interruptions (example, substitution, timeout or line up check). In USAV, only the head coach can intervene in the match and communicate with the officials. 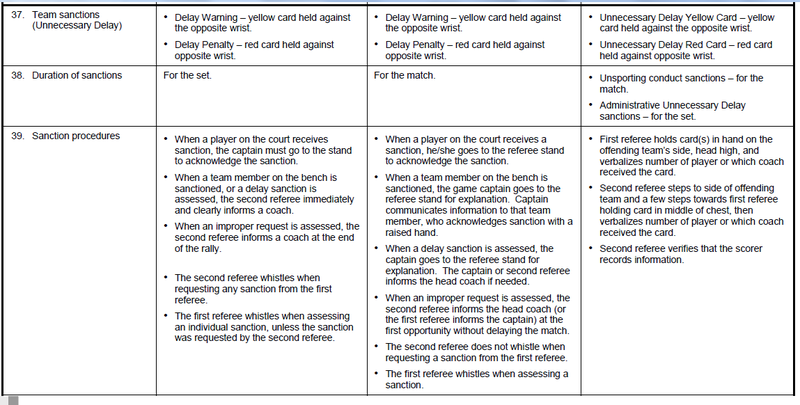 For example, in USAV, an assistance coach can't talk to the R2 and ask questions during the match. And the assistance can't call timeouts or interact with the officials during the match. In National Federation, only the head coach is permitted to stand during play. All players, assistant coaches, and other personnel must remain seated on the bench during the match. Also, for National Federation, the head coach must attend the captains meeting and pre-match coin toss. For NCAA, legal numbers are 0-99, inclusive. For USAV, legal numbers are 1-99, inclusive. For National Federation, legal numbers are 00, 0-99, inclusive. 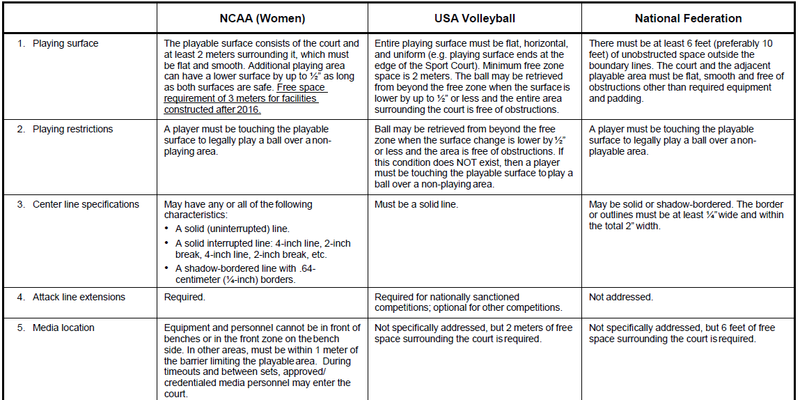 Volleyball rotation rules for usav, fivb, ncaa, high school and middle school volleyball. Rules and regulations for competitive volleyball players, coaches, trainers, and parents. 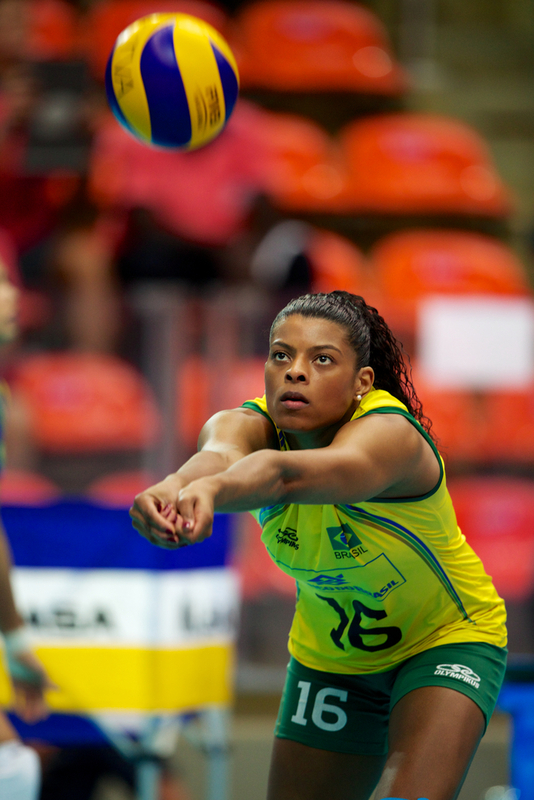 Learn and know the rules to improve your performance volleyball IQ.